Arsenal coach Arsene Wenger on Thursday said the club was close to roping in highly rated French footballer Kylian Mbappe last year. “Well, I believe that we were on the case last year,” Wenger was quoted as saying by Sky Sports ahead of Saturday’s English Premier League (EPL) home game against Bournemouth. “He was close to joining us, maybe closer last year than this year because the competition was a bit smaller than it is today,” the French coach said. Mbappe netted 26 goals last season for French side Monaco who were crowned French champions. He will spend this campaign on loan with French football club Paris Saint-Germain. “I personally think for 90 per cent of players, their careers depend on where they choose to go. 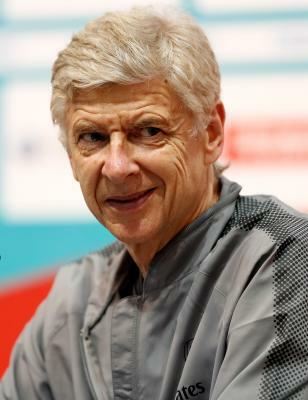 But for 10 per cent of players, they can choose where they want and they will make a great career,” Wenger said. “He is in the 10 per cent. He can close his eyes and choose “I’ll go here, I’ll go there” to Madrid, to Arsenal, to Manchester United and he’ll have a great career, he’s an exceptional football player,” he added.